ÂŠ Copyright 2011 Cabbages & Roses LTD. All Rights Reserved. BRITISH LIFESTYLE BRAND GROWING RAPIDLY London, England, February 2011 – Christina Strutt, the creative force behind the international lifestyle brand Cabbages & Roses, celebrates her signature style in the opening of a new Mafair store in Avery Row, London. Throughout Europe, Cabbages & Roses is synonymous with English Country styling, and the brand’s refined rustic look is a perennial favorite among celebrities and discriminating clients alike. Founded by Christina in 2000, the brand has grown by leaps and bounds, and is now featured in over 23 UK retail locations, including 3 highly successful stand-alone boutiques in London proper. Two more stores are due to open in Bath and Guilford, Surrey during the first half of 2011. 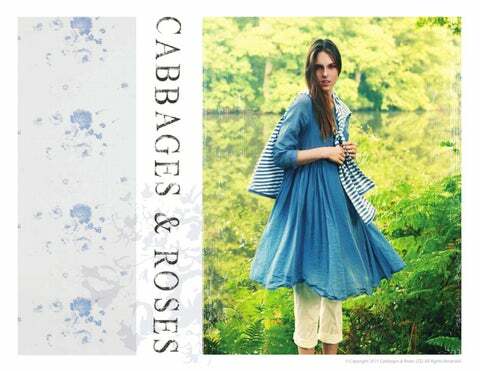 The opening of a fifth Cabbages & Roses flagship store in Tokyo this March adds to the international portfolio of the company. © Copyright 2011 Cabbages & Roses LTD. All Rights Reserved. SIGNATURE SCENTED LINE LAUNCHING FALL 2011 The introduction of a new scented range for fall 2011 promises to be a successful follow on from the best selling scented candle range, available in three distinctive scents. The votive set and giant candle are perfect gifts for any one, a single votive allows for any budget and the room spray and eau du toilette can be taken anywhere. The range perfectly compliments the launch of a utilitarian home range of natural and white linens, hand stamped and perfect for a spring time or summer event. CABBAGES & ROSES LAUNCH TRANSACTIONAL WEBSITE TO SHIP GLOBALLY The progression to a new website will finally be completed in early 2011. The new website will ship globally on selected products, and the company is aiming to provide currency options over the next 2 months. The website unveils an updated clean and simple brand image to showcase their highly coveted fashion and home lines. The launch of the new site will be in conjunction with the much anticipated Spring Summer 2011 range. 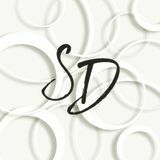 Contacts: Suzie Domnick branding, inc. office: 818.995.6300 mobile: 310.2283.5847 ÂŠ 2010 C&R Ltd.
Christina’s distinguished fashion and home décor brand Cabbages & Roses sells to discriminating clients throughout the UK and Europe. A boutique brand with a signature “refined rustic” look and feel, Cabbages & Roses counts fashionistas and celebrities alike as faithful brand devotees, and has 26 retail locations throughout the United Kingdom. The fifth Cabbages and Roses book was published in March of 2010, and heralds the brand’s expansion into international markets and continued acclaim. Born in 1954 and raised in London, Christina was educated at various convents until she eventually managed to escape as she turned 16 and embark on real life. Prior to Cabbages and Roses, Christina had only ever been employed by two establishments – the first, the eminent London department store, Fortnum & Mason, where she sold chocolates and the second, Vogue magazine, where she inadvertently climbed the career ladder from secretary to assistant Vogue Living editor, until choosing to leave the company in 1980 to marry. Her career continued with freelance styling and interior decorating whilst living in the beautiful English countryside and raising her two children, Kate and Edward. Her love for country living soon translated into a new career. Cabbages & Roses was born in 2000, with the help of friend and colleague from Vogue, Brigette Buchanan. When Brigette left the company in 2001, Christina continued on her own, and the mail order business continued to grow at a rapid clip. © 2010 C&R Ltd.
With the help and encouragement of her friend John Robinson of Jigsaw, Christina opened the first Cabbages & Roses signature shop in Chelsea, London in April 2003. A second stand-alone shop opened in Notting Hill in 2005, and at this time Jigsaw became majority shareholders. Over the course of the next five years, Christina’s Cabbages & Roses expanded and its bi-annual collection of clothing is now selling in 23 Jigsaw stores across England. November 2010 saw the opening of the 3rd standalone shop in Mayfair, London and has been met with great enthusiasm from the press and general public. The existing 2 standalone stores have had unprecedented growth despite a hard economic climate. Christina has written five highly successful Cabbages & Roses signature books since starting the company. 2008 saw the publication of Cabbages & Roses Guide to Natural Housekeeping, which sold over 55,000 copies worldwide and has been translated into numerous languages. Cabbages & Roses at Home, which Christina co-authored with her daughter Kate, released in March 2010 and for the first time incorporates locations from both the USA and the UK, reflecting the brand’s growing international appeal. April 2010 marked the 10th anniversary of Cabbages & Roses, as the brand expands into the retail markets of North America and Asia. Public awareness and the constant press coverage of the brand hit another high note in February 2010 when, Cabbages & Roses was short listed for Retailer of the Year with Homes & Gardens magazine. The publication of Cabbages and Roses At Home With Country was a landmark event for the brand, and for Christina, as she continues to create the signature look and feel that has become the trademark style of Cabbages and Roses. © 2010 C&R Ltd. © 2010 C&R Ltd.
April 2010 marked the 10th anniversary of Cabbages & Roses, one of Europe’s beloved classic fashion and home brands. Synonymous with English country, Cabbages & Roses’ beautiful lines are favorites of celebrities and discerning customers alike. With signature refined rustic style, Cabbages & Roses’ adds comfort, function and quality to homes and wardrobes throughout Europe. Cabbages & Roses continues its steady and strategic expansion at retail, now encompassing 3 flagship stores in London, on Northcote Road, Langton Street, and Avery Row, plus over 23 concept shops inside Jigsaw stores throughout the United Kingdom. International demand for the products is being met with expansion into Japan and the United States. In Japan Cabbages & Roses opened 2 concessions in Fall 2010, and is planning 2 standalone stores in 2011. While in North America, licensing and retail partners are being lined up for a 2012 introduction. © 2010 C&R Ltd. © 2010 C&R Ltd.
Cabbages & Roses has evolved around 5 core values that today remain true in every aspect of the business. Beauty – Every product produced must be integrally beautiful. Practicality and functionality are a part of what we believe is beautiful. Simplicity – Every product performs a function. We design with comfort and aesthetic in mind. Longevity – Our hand-made products are created to last. They are not made with temporal fashion in mind; they are made with beauty and functionality as a priority. Cabbages & Roses is not a disposable brand. Integrity – Good quality, from design to craft is important to the brand. This is rooted in the hand-made quality of the product. Sustainability – Through the whole ethos of Cabbages & Roses, it is important not to waste precious resources or to harm our earth, be it from creating items that can be handed down for generations, to printing with Oeko Tex approved methods on the majority of our own brand fabrics. Cabbages & Roses’ loyal customers value the brand’s style, elegance, quality and enduring simplicity and comfort; these have been the guiding principles of the company, and will continue to lead it forward into the future. © 2010 C&R Ltd. © 2010 C&R Ltd.
Christina has authored five internationally successful books under the Cabbages & Roses brand since launching the company in 2000. Her fifth book titled, Cabbages and Roses At Home With Country, published by Cico Books, was released in March (North America) and April (United Kingdom) 2010. The book showcases the classic and versatile design sensibilities of the brand, as Christina transforms urban, country and beach-side dwellings into romantic havens imbued with comfort and beauty. © 2010 C&R Ltd. © 2010 C&R Ltd.
Cabbages & Roses EPK developed by branding, inc.